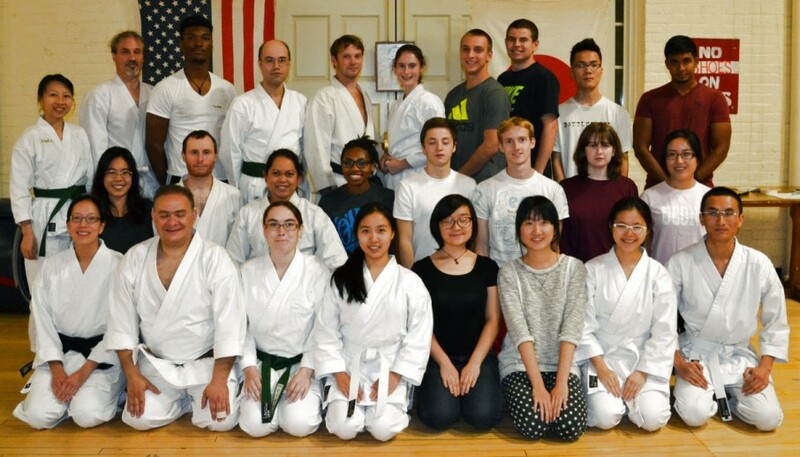 UConn Karate Club class, October, 2014. Front row: Lia Burnham, Kim-An Do, Melissa Jacobs, Yining (Jenny) Chen, Ziyuan Liu, Zhangtongxin (Kitty) Yang, Bob Jacobs. Second row: Guodong (Jason) Hu, Serge Nakhmanson, Britny Fowler, Tianyi (Lynn) Li, Al Miller, Maria Hoppe. Back Row: Mike Jacobs, Nick McIntosh, Xihao (Damon) Xu, Mike Burnham, Song Li, Maddie Lesko, Volodymyr Serhigenko. Front row: Angie Cheung, Joe Amat, Britny Fowler, Yining (Jenny) Chen, Ziyuan Liu, Tianyi (Lynn) Li, Zhangtongxin (Kitty) Yang, Linkai Zhu. Second row: Kim-An Do, Nick McIntosh, Eva Forrest, Taj Taylor, Al Miller, Dan Smith, Ailis Muldoon, Xinyun Liu. Standing: Agnes Klucha, Jeff Kamenetz, Jordan Williams, Serge Nakhmanson, Ryan Jacobs, Maddie Lesko, ?, Ryan Gelinas, Jing Yu, Danny Diaz. 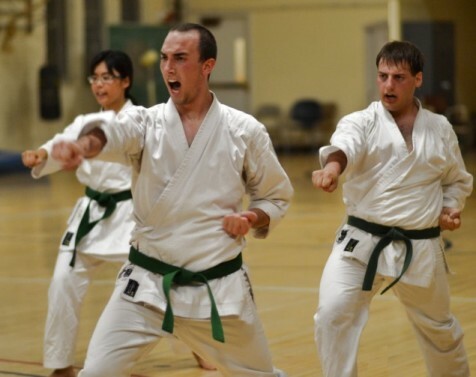 Green belts Kim-An Do, Peter Zaffetti and Phil Minichino practicing team kata. 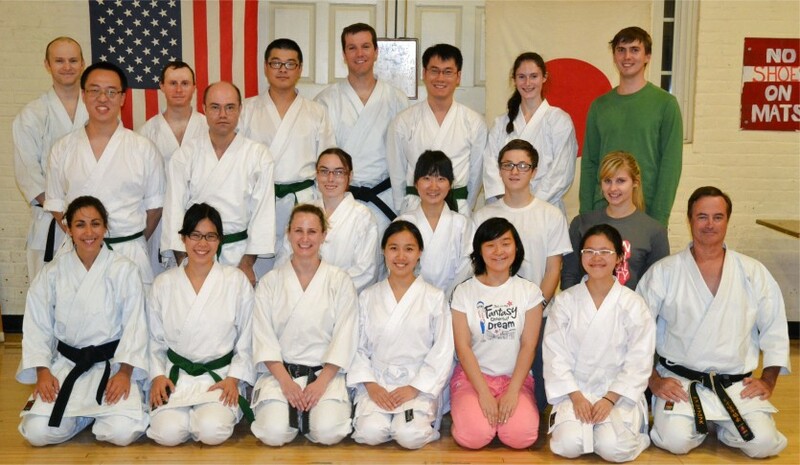 UConn Karate Club team members at the 2014 Shotokan Karate Do-International Fall Championships. 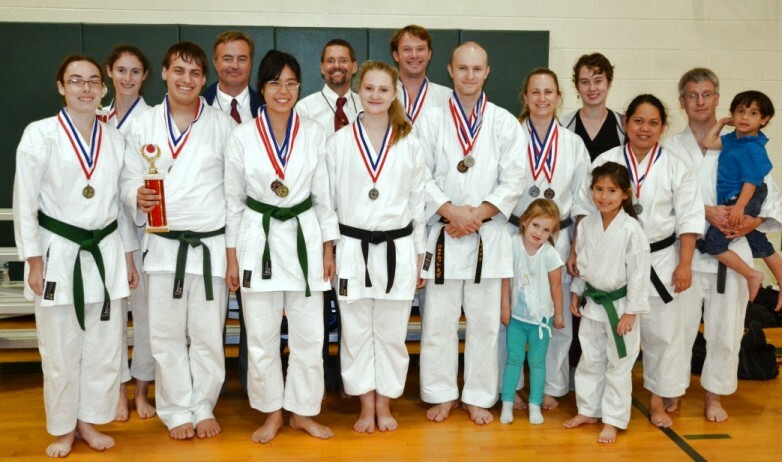 Left to right: Britny Fowler, Maddie Lesko, Phil Minichino, Bob Jacobs, Kim-An Do, Mark Rollins, Alex Jacobs, Ryan Jacobs, Mike Jacobs, Melissa Jacobs, Isabelle Jacobs, Brianna Boyce, Tori Forrest, Eva Forrest, Ken Forrest, Jeffrey Forrest. Instructors Andrew Bakoledis and Abby Barrera perform a knife-attack demonstration. Down time at the fall tournament. 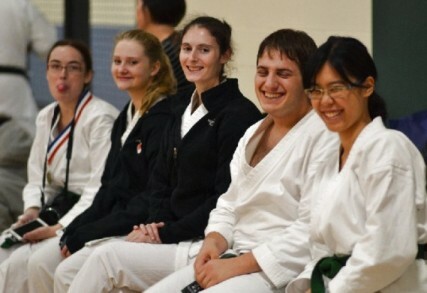 Left to right: Britny Fowler, Alex Jacobs, Maddie Lesko, Phil Minichino, Kim-An Do.